chapter 4 : Lusitanians Praise Hinoe Castle | Light and Shadow: Christian History, Resurrected. 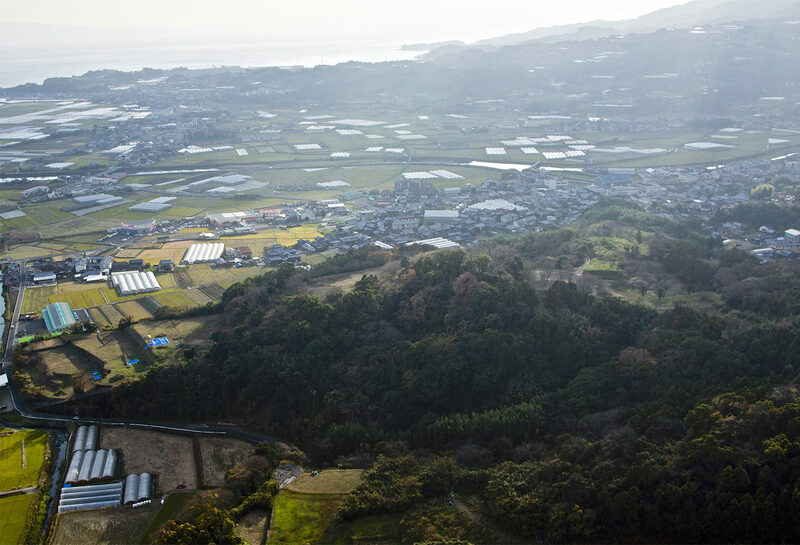 Hidden Christian Sites in the Nagasaki Region. At the ruins of Hinoe Castle, excavation is currently in progress. With the discoveries of gilded roof tiles and Chinese porcelain, the appearance of Hinoe Castle's former glory gradually became clearer, just as it was described in many articles. Frois is a person who was also able to meet Nobunaga Oda at Azuchi Castle. We can imagine how great Hinoe Castle was at that time as it made such a person praise it this much. Not only from the article that Frois left, but also from excavation in recent years, the appearance of Hinoe Castle in bygone days has become clearer. In addition to the gilded roof tiles mentioned before, during examinations conducted between 1996 and 1999, a direct staircase from the front entrance toward the outer citadel, called Ninomaru, was discovered. Those surveys revealed that the original staircase was over 70 meters in length. 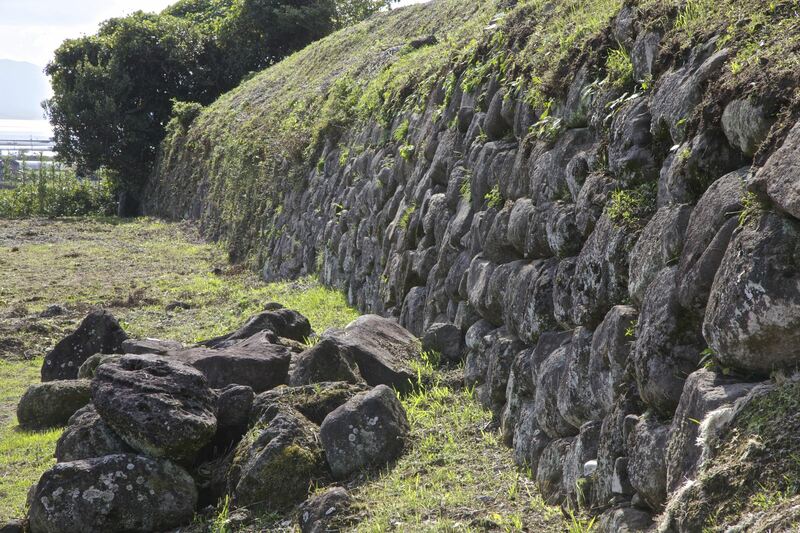 Its straight-line construction is similar to ones at Komaki and Azuchi Castles, which were built by Nobunaga Oda. 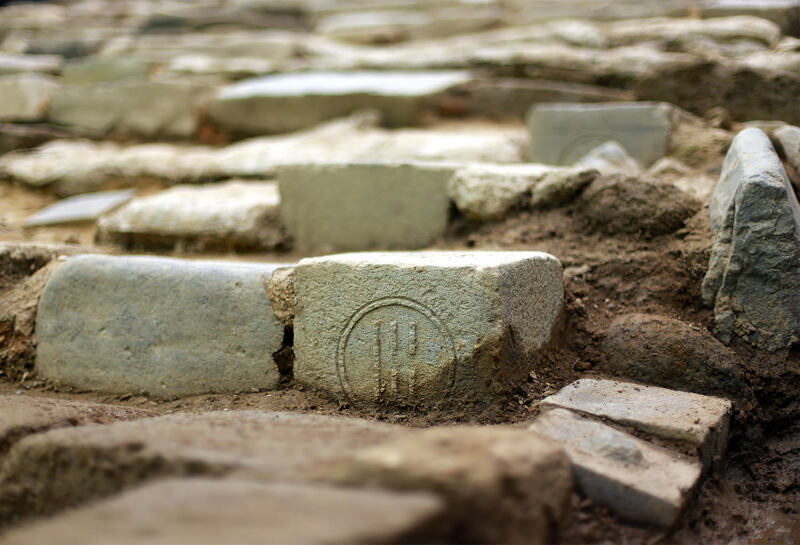 Moreover, Chinese porcelain, called Hoka, was also found in the ruins of Hinoe Castle. 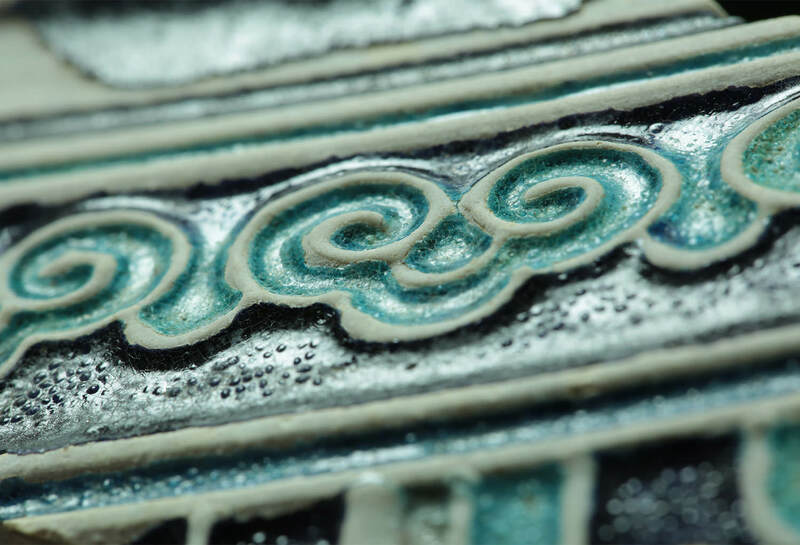 Hoka is made with a technique which brings out the dark blue and light blue pattern to the surface and green glaze is on the inside. That it was found here, despite the extreme rarity of excavations of Hoka in Japan attests to the Arima Clan’s talent for international trade. 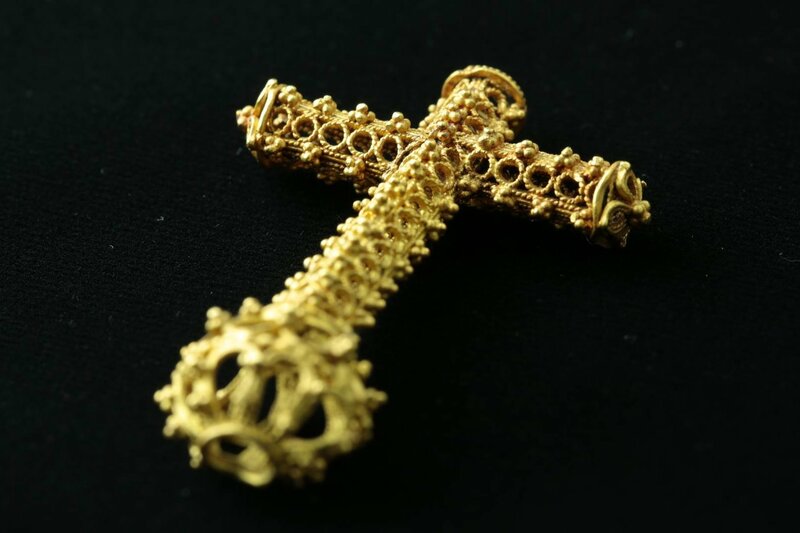 The lord of Hinoe Castle, Harunobu Arima, had around his neck the dazzlingly radiant golden cross. From the excavated gilded roof tiles and Frois’s note that, “All rooms, big and small, were decorated with golden objects and resplendent and gorgeous paintings.” Hinoe Castle must have been so magnificent that we, present-day people, cannot even imagine its splendor. In Hinoe Castle, elements of anti-Buddhist sentiment were found. As Harunobu tried to proactively safeguard Christianity, he also set about destroying Buddhist temples. There is a record indicating that over 40 temples and shrines within the territory were destroyed in just three months while Valignano stayed in Kuchinotsu. The stone steps of the staircase, found on the north side of the Ninomaru, relied frequently on the use of parts of Buddhist pagodas, and from their shapes and traces of gold gilding, we can infer that it’s highly likely that pieces of pagodas destroyed as part of the movement against Buddhist shrines, some soon after their own construction, and then were brought to Hinoe Castle to be used in the staircase. Avila Giron, a Spanish trading merchant, wrote about the inside of Hinoe Castle in 1595 as follows...“The sliding doors of the hall consisted of about twenty of them, and further back, was another beautiful hall, and then, an even more beautiful hall appeared.”...It is said that on these sliding doors, gold and light blue rose-like flowers, mountains, eagles, birds and deer were painted in the scenery of summer. It is reported that after opening the gorgeous sliding doors one after the other, at last, the beautiful scenery of the Sea of Amakusa with its many islands could be seen. This beauty, now familiar in Minami Shimabara, had been conveyed to the countries of Europe, as many as 400 years ago.